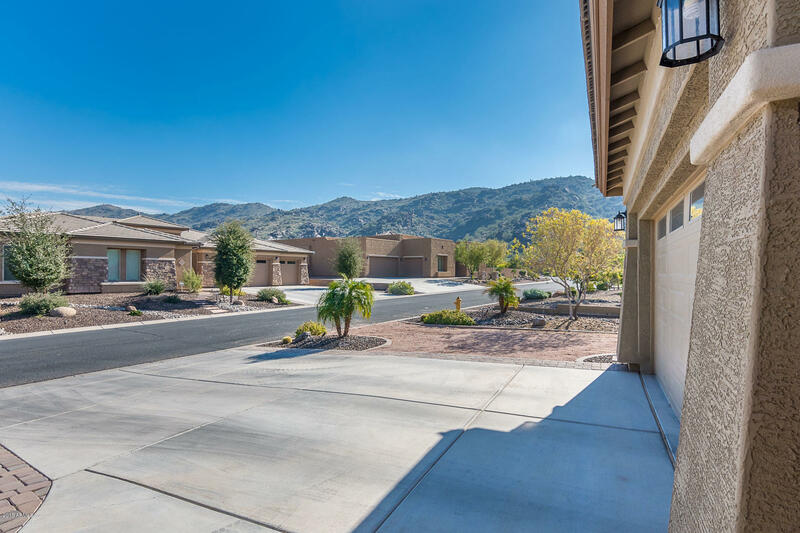 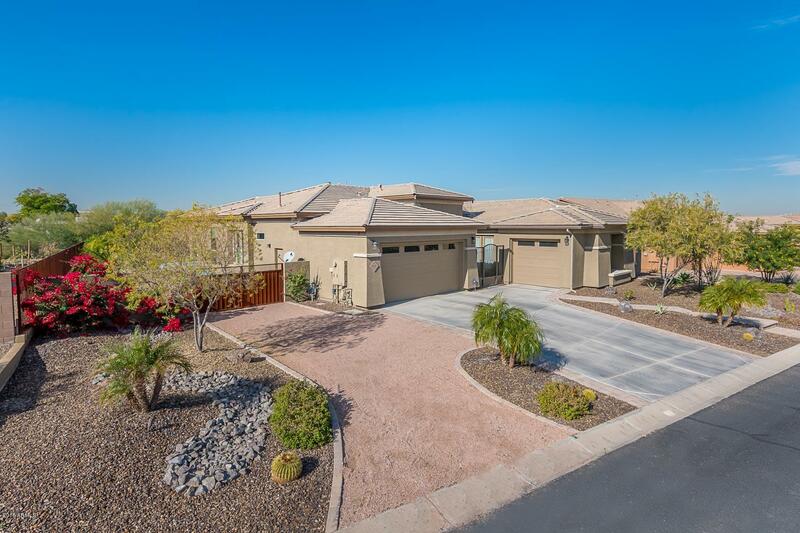 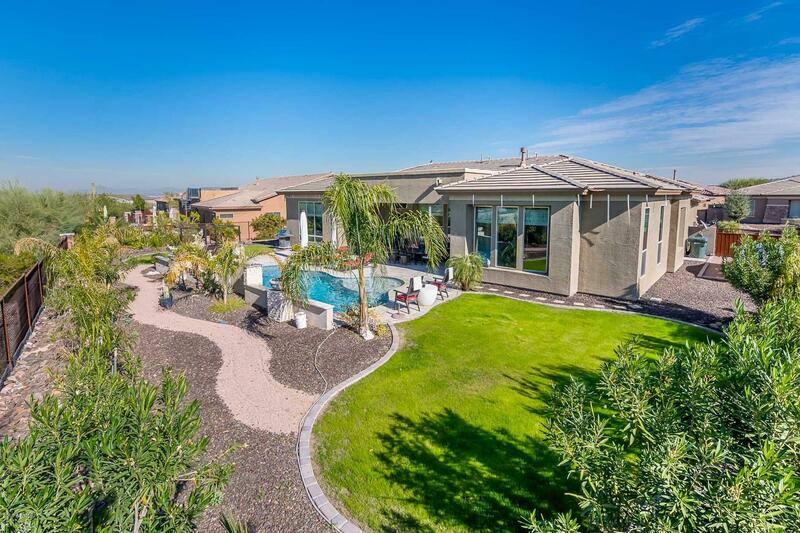 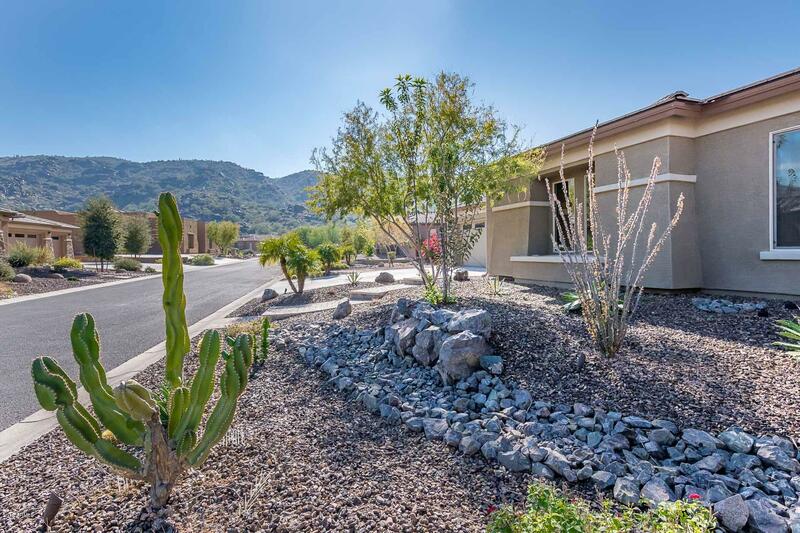 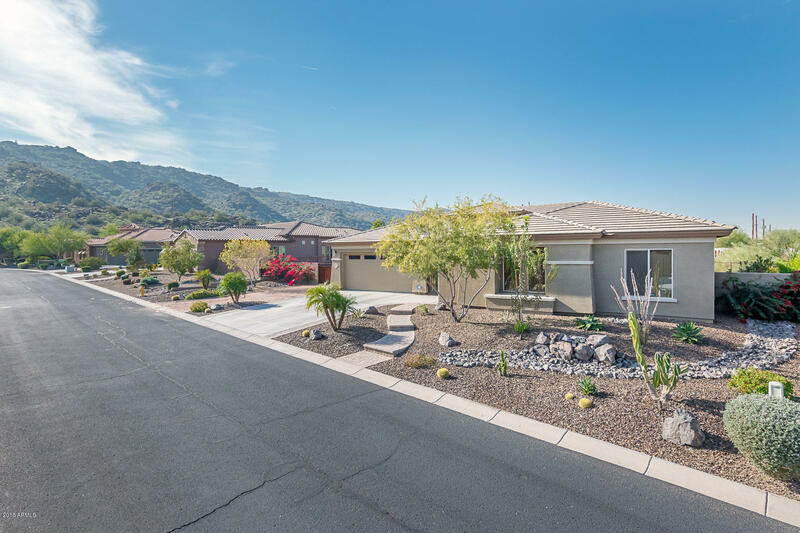 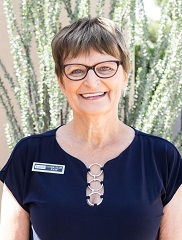 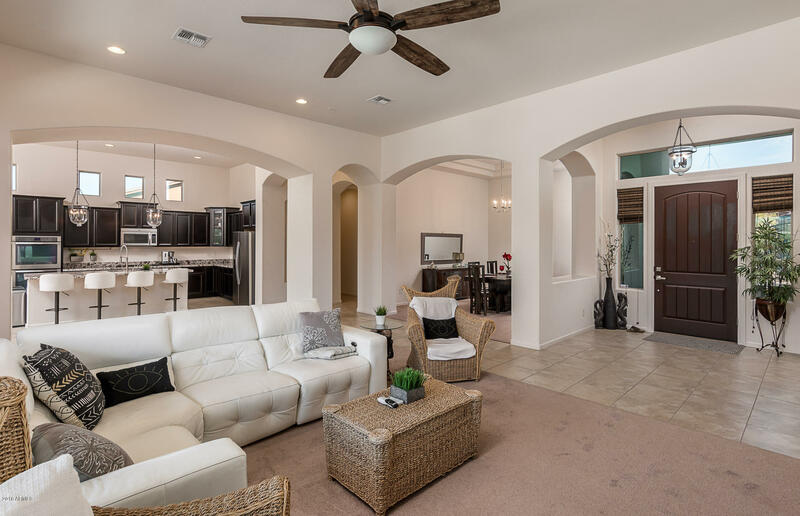 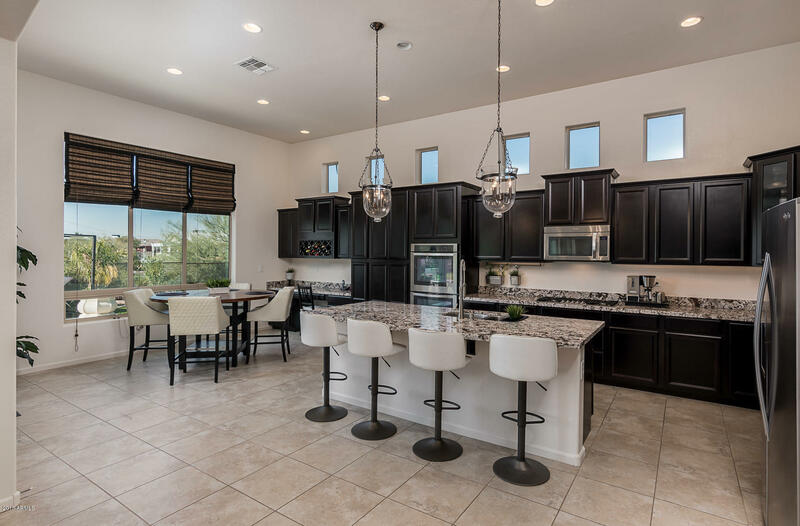 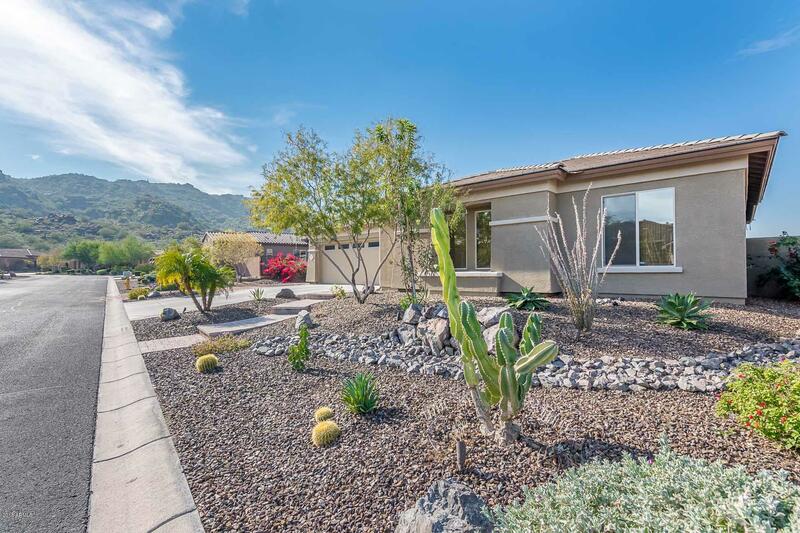 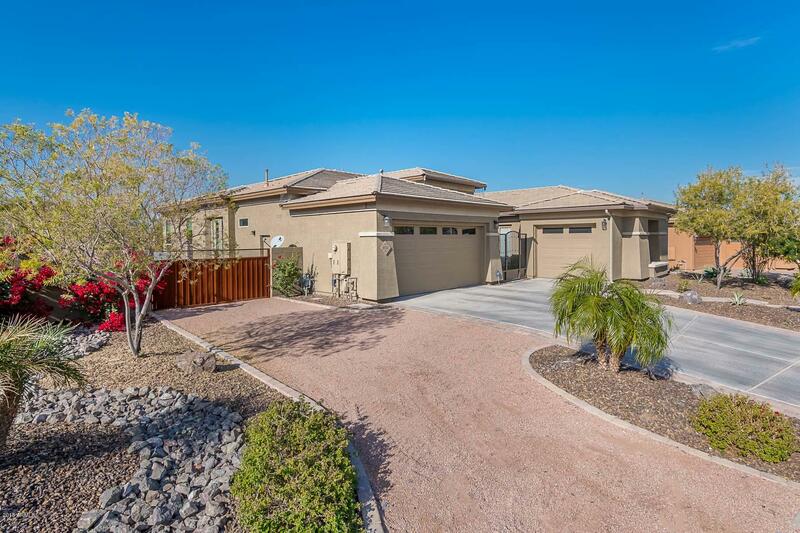 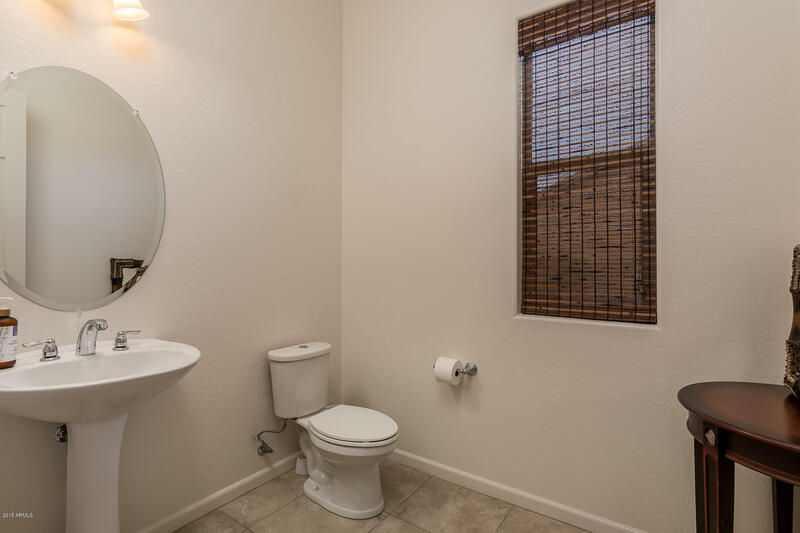 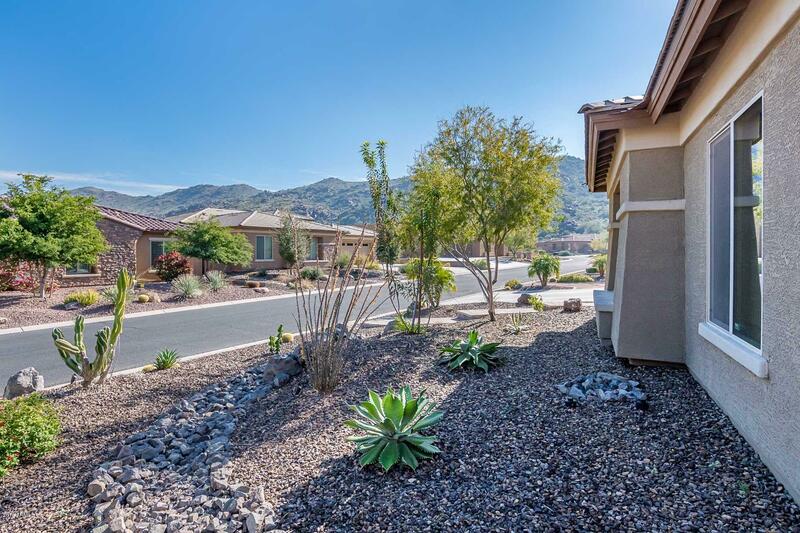 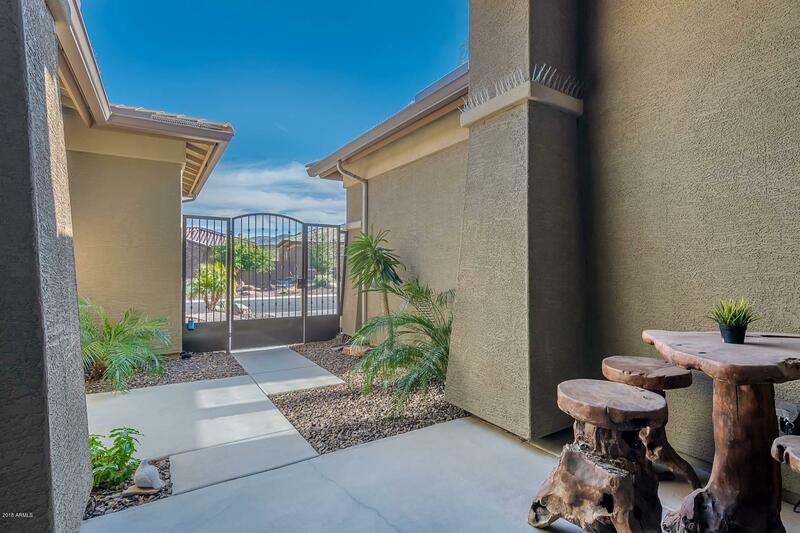 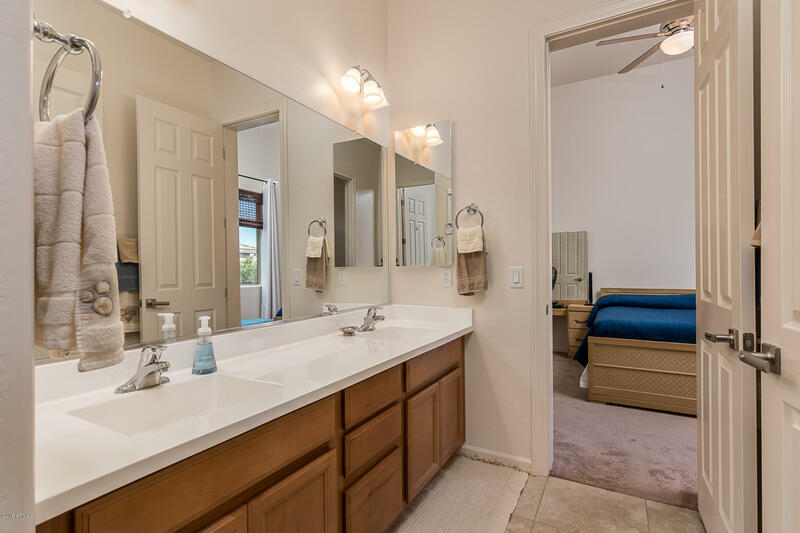 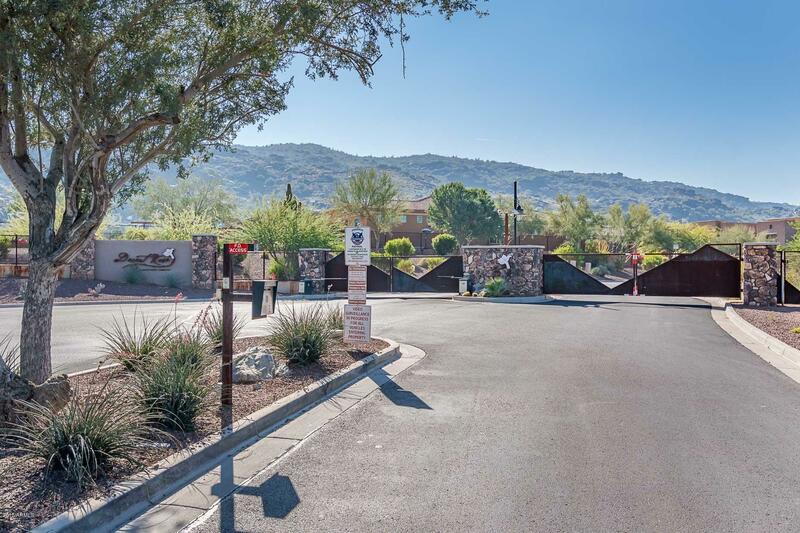 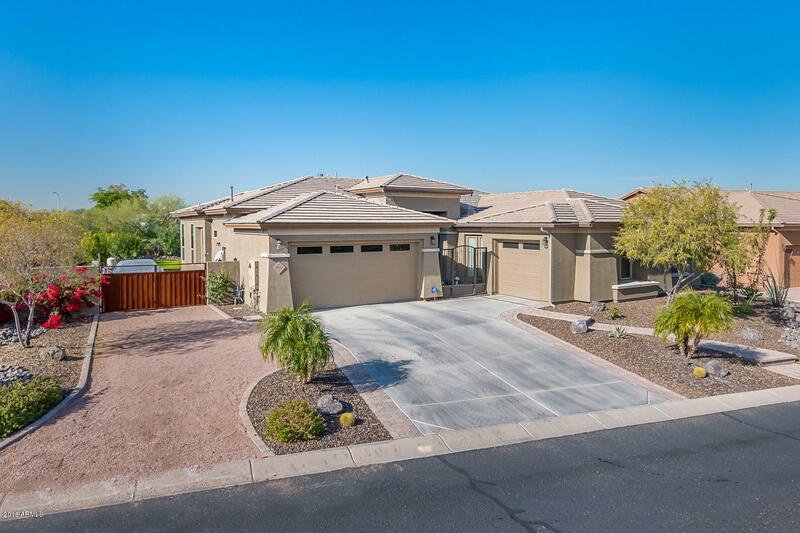 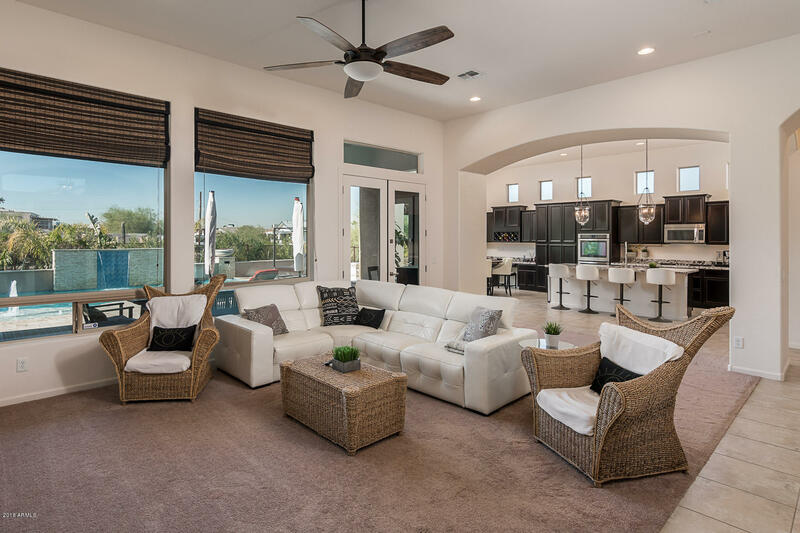 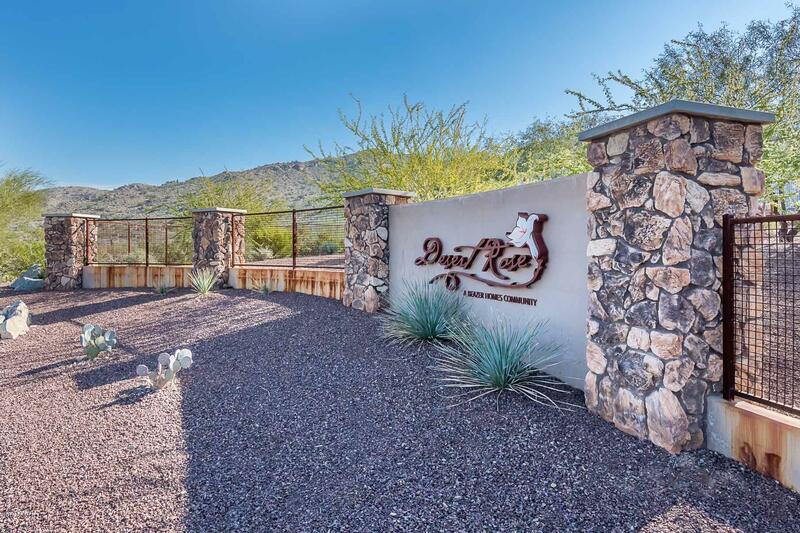 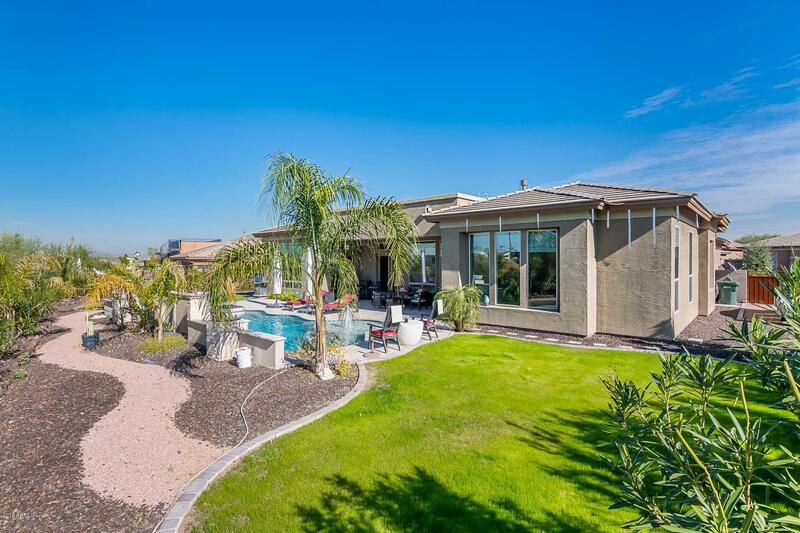 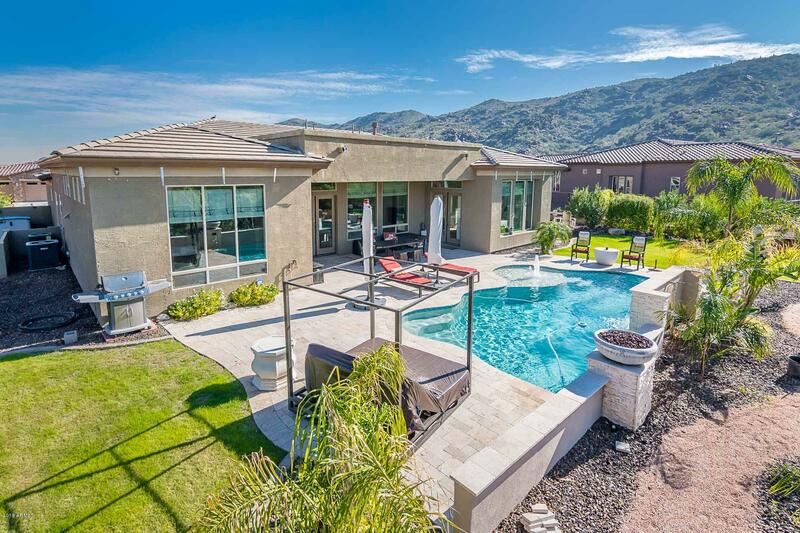 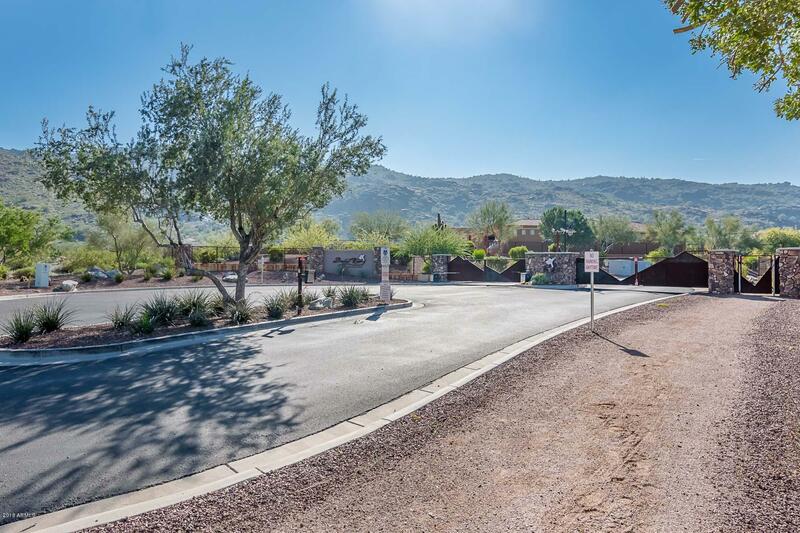 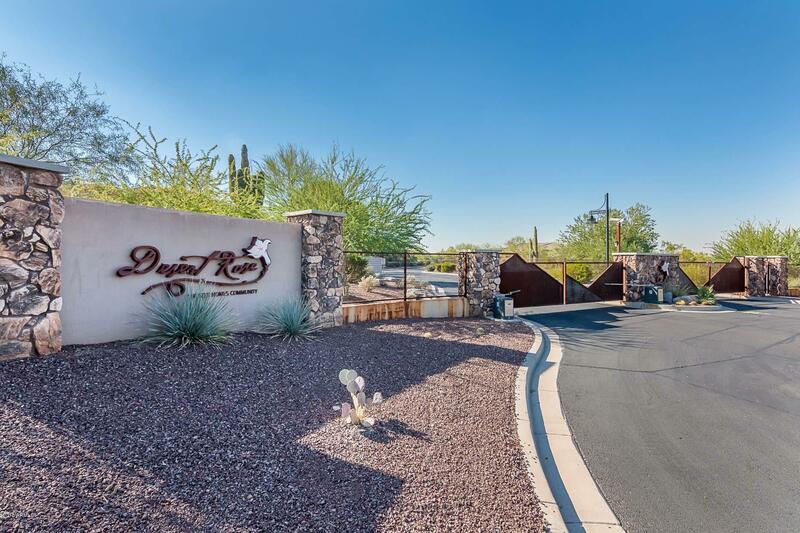 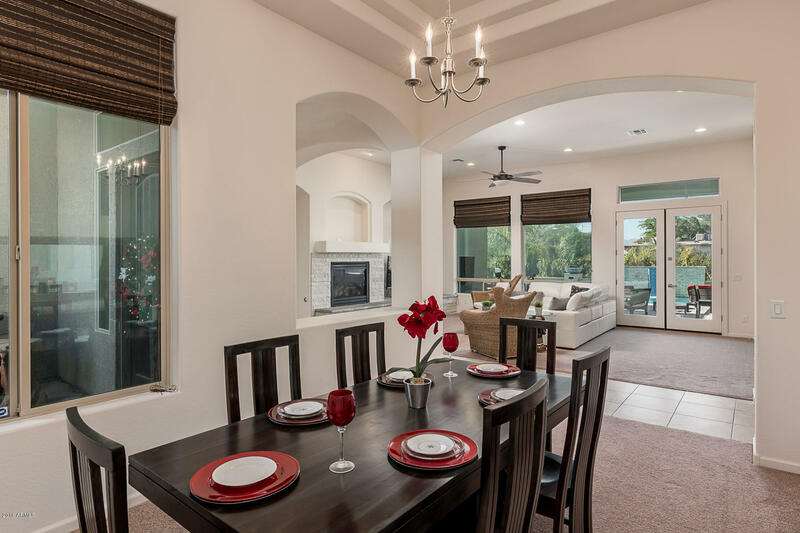 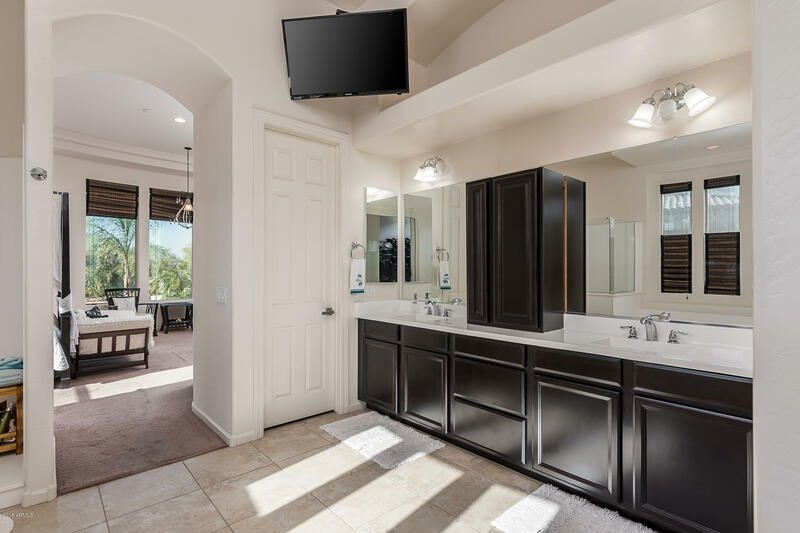 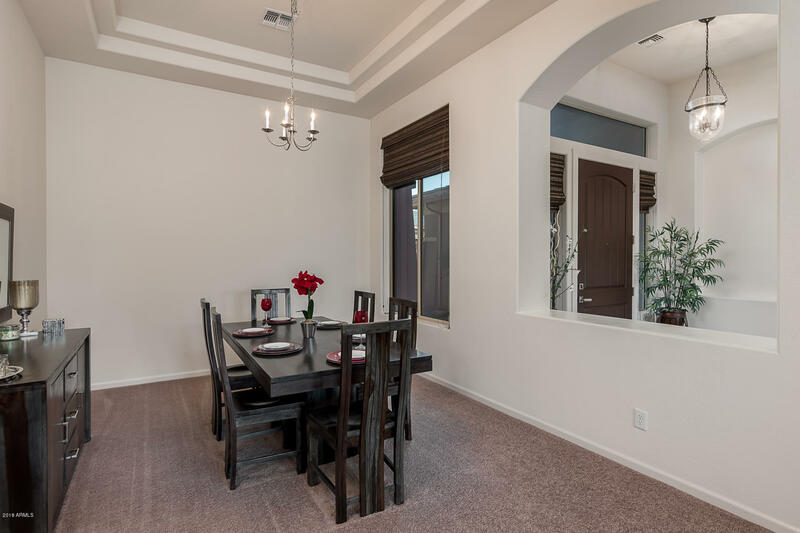 Mountain views & City lights surround the exclusive Desert Rose gated community. 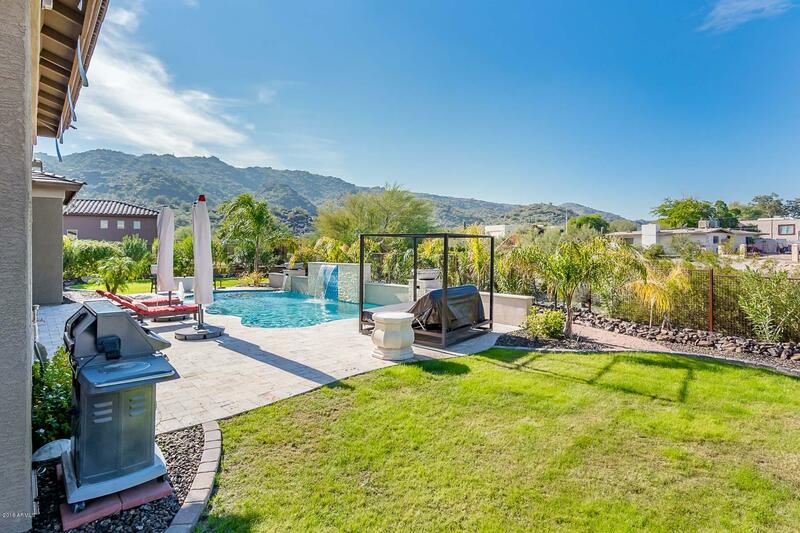 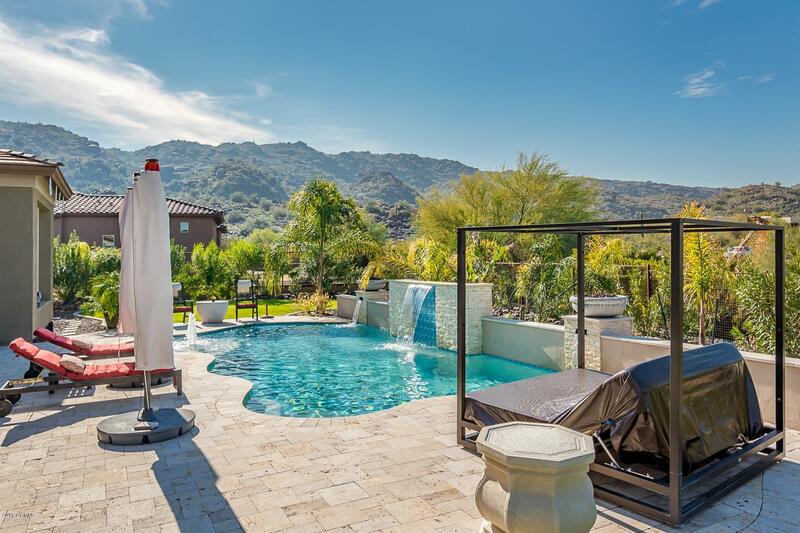 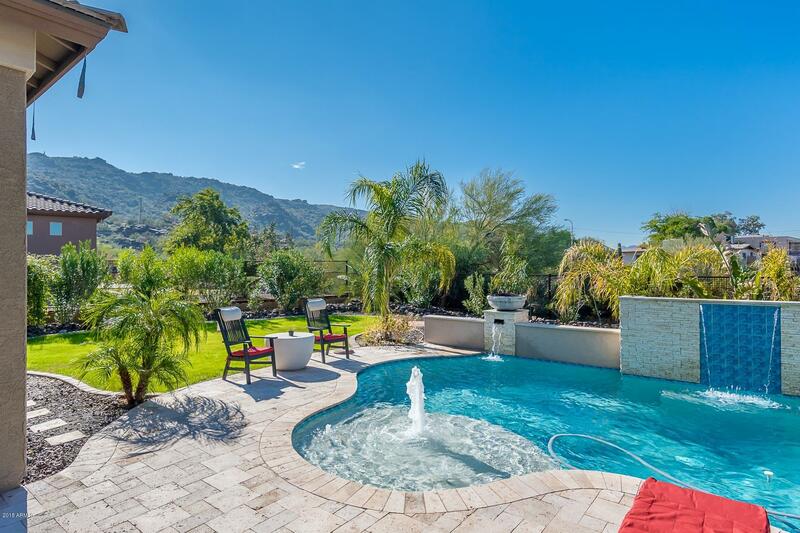 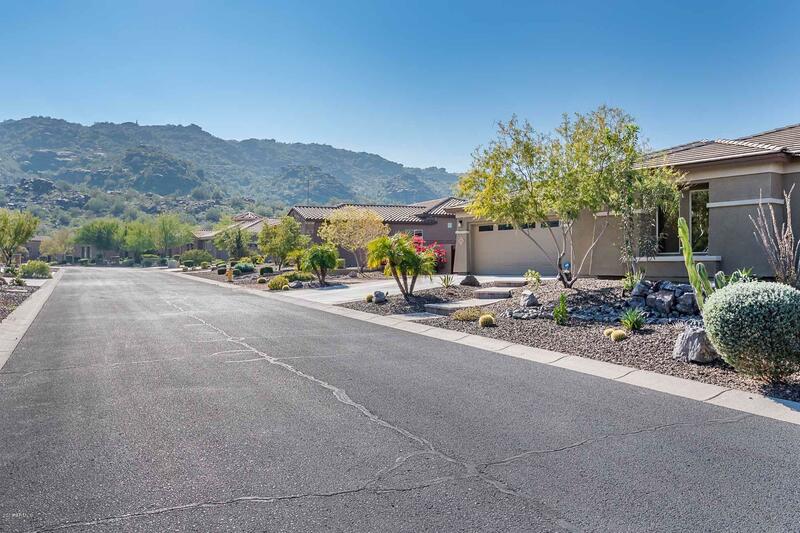 This custom home sits on more than a 15,000 sqft lot with spectacular views of South Mountain & endless trails with immediate access. 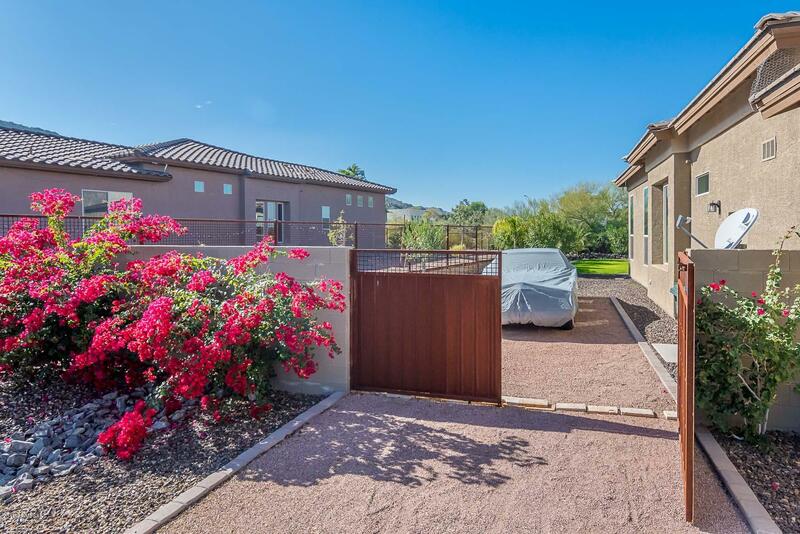 Wrought iron entry into private courtyard upon entering the home. 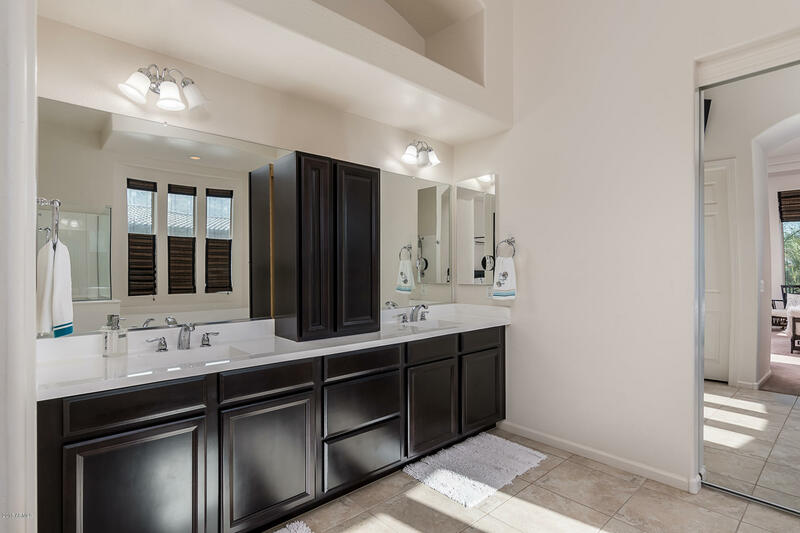 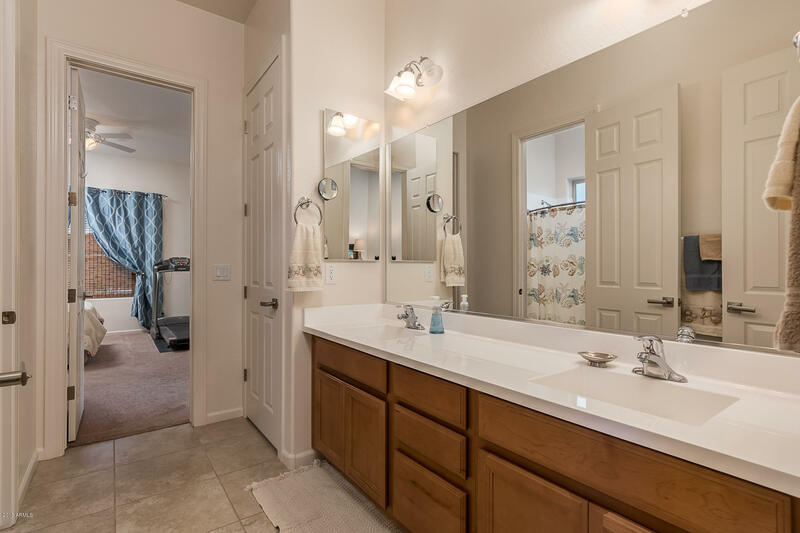 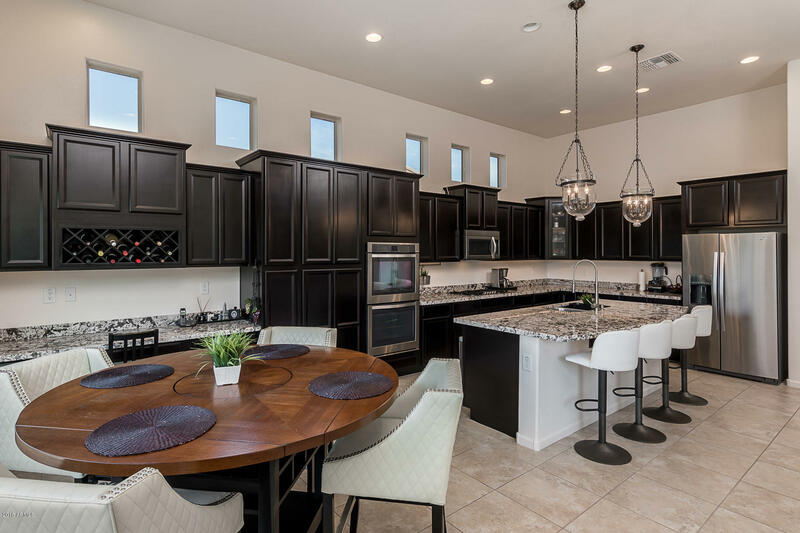 Expansive floor plan with 3 bedrms, flex room, split floor plan with Jack & Jill bathrms and designated dining area with coffered ceilings. 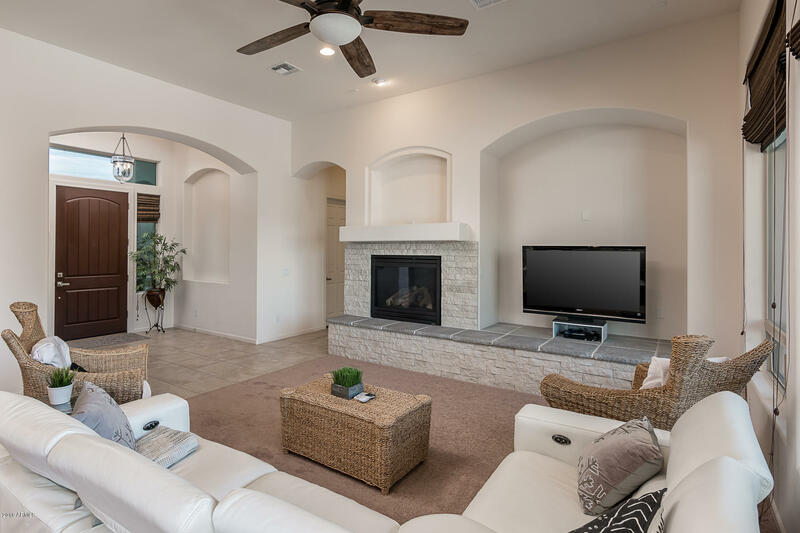 Endless windows stacked stone gas fireplace & 10ft+ ceilings. 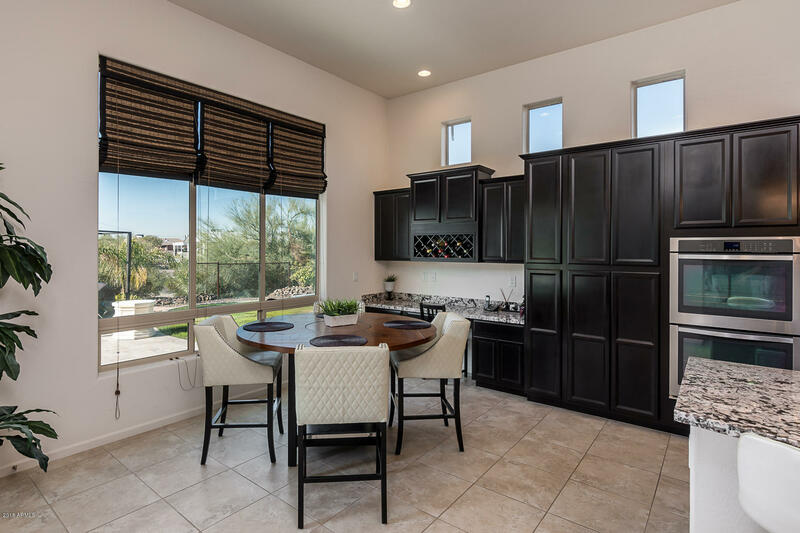 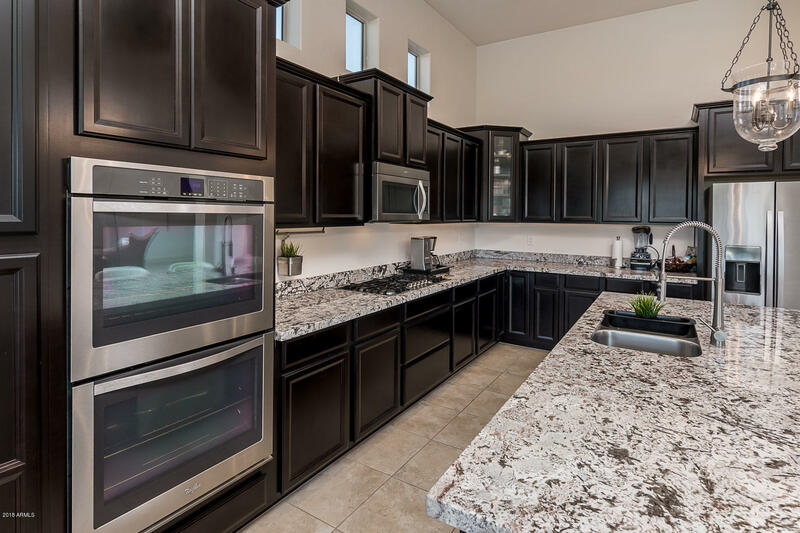 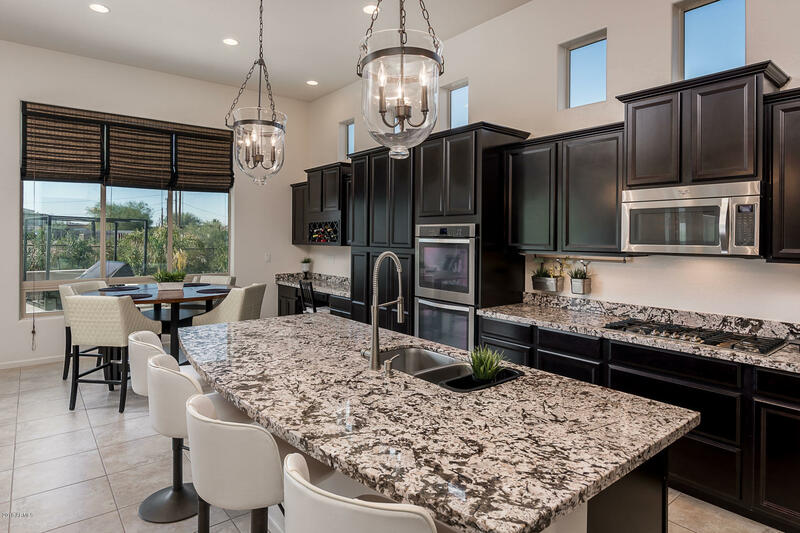 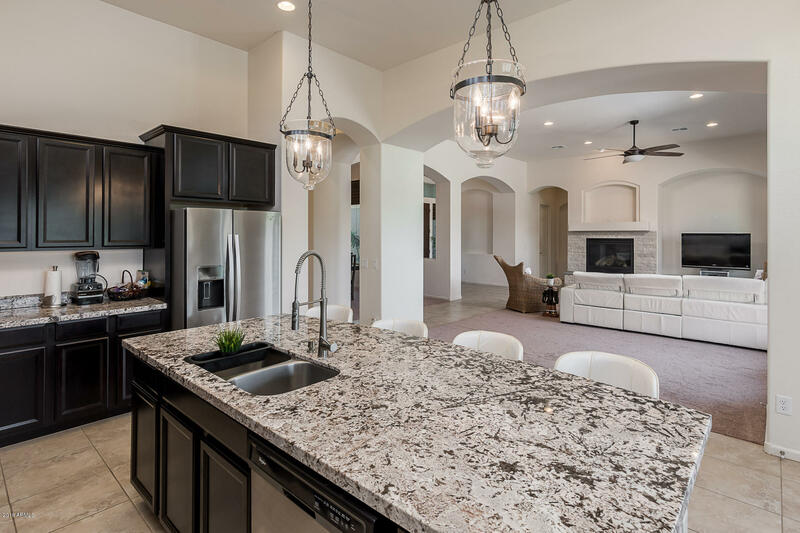 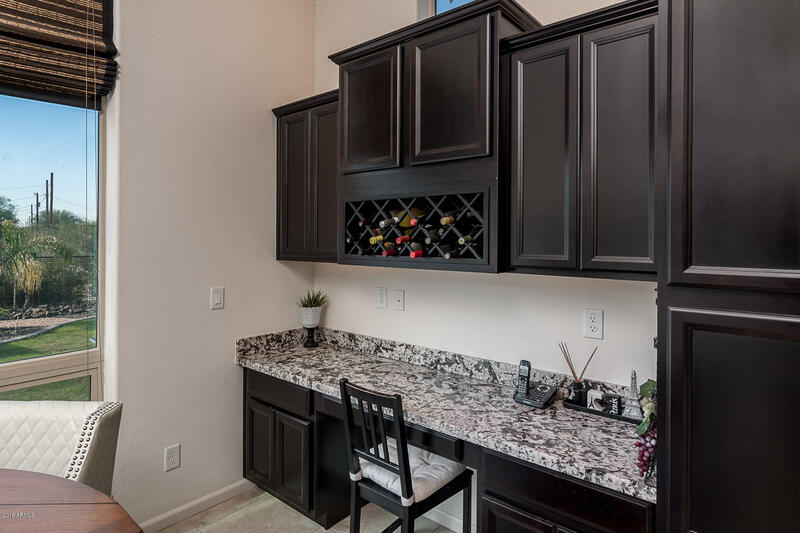 Gourmet kitchen will inspire your inner chef- 9ft island solid granite slab, rich espresso cabinets with a gas range, dual ovens (Convection) & built in desk area & wine storage. 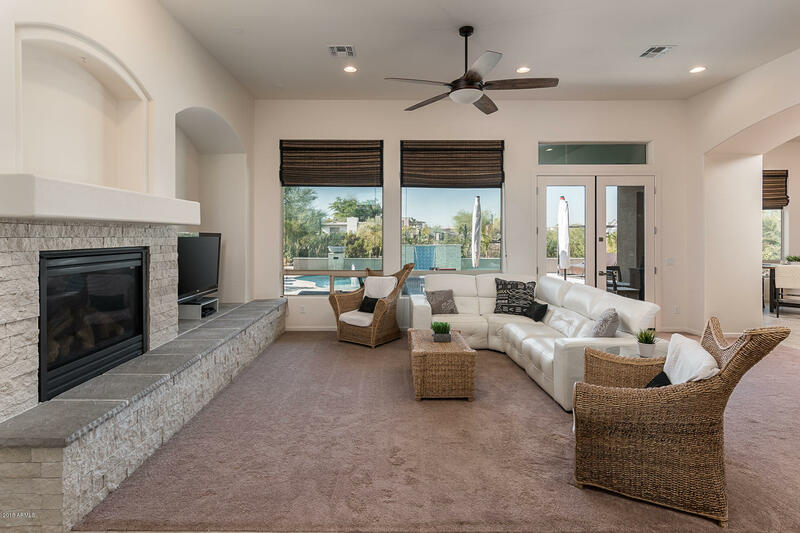 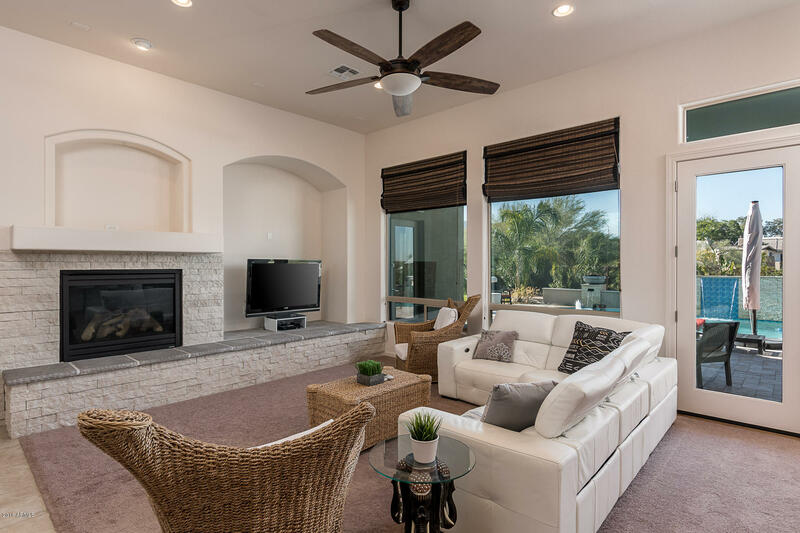 French doors leading out to the covered back patio overlooking the mini- pebble custom pool designed by Pegasus Pools featuring shoots of water, a stacked stone wall of sheer decent w/ fire bowls positioned on each side & loveseat. 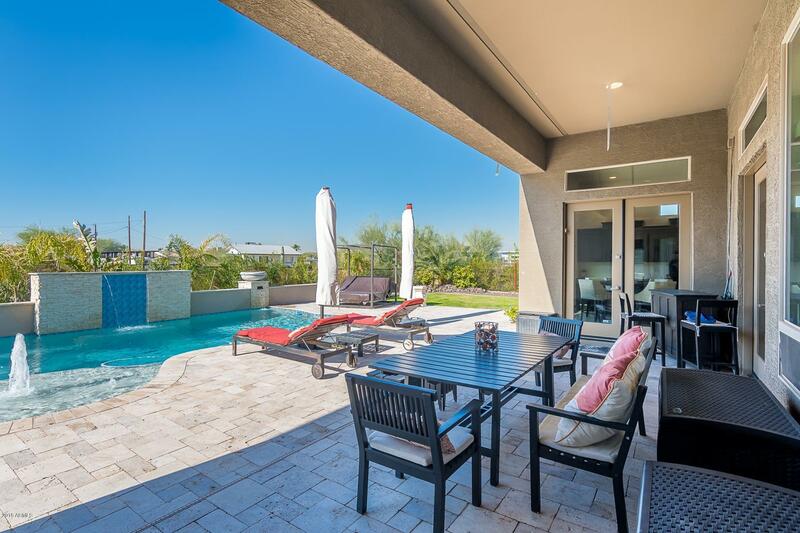 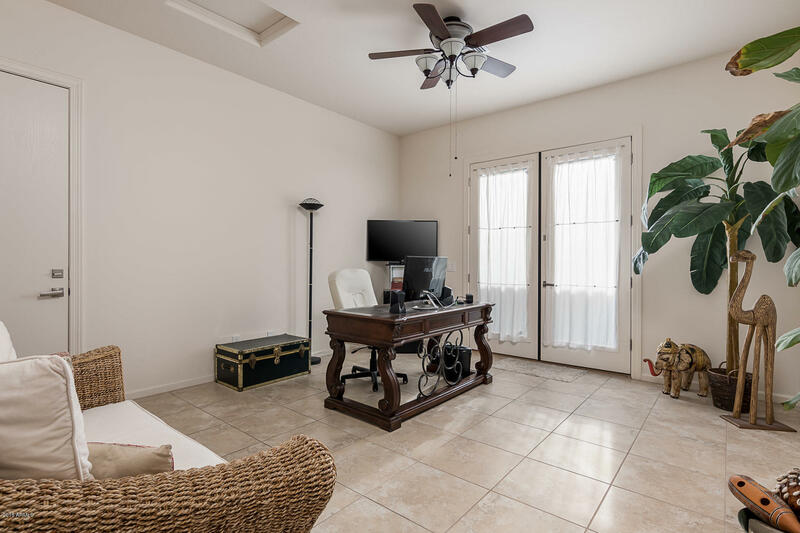 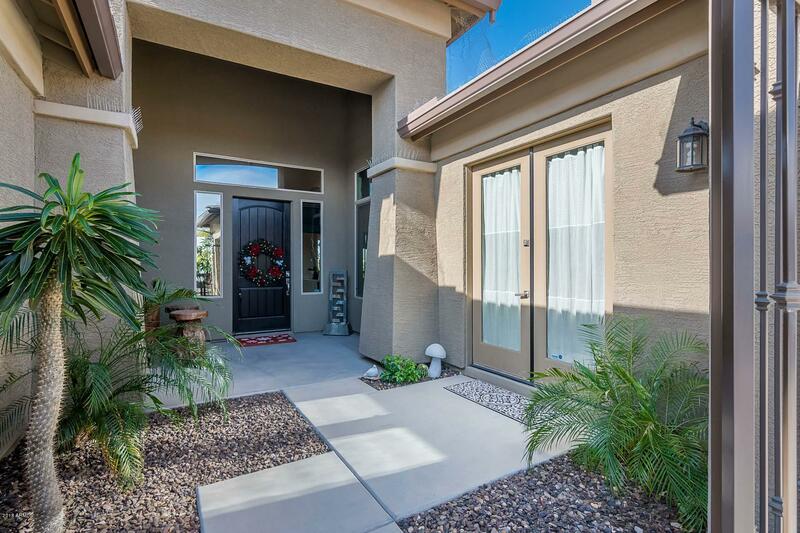 This property is quintessential indoor/outdoor Arizona living!